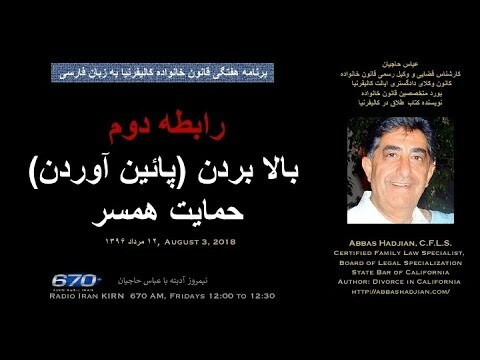 ABBAS HADJIAN, is a bi‑lingual (Farsi & English) California Certified Family Law Specialist, certified by the Board of Legal Specialization, of the State Bar of California. 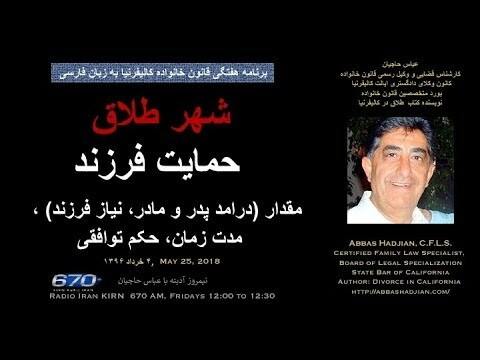 Mr. Hadjian’s practice is limited to litigation of complicated Family Law issues, and private or Court assigned mediation. 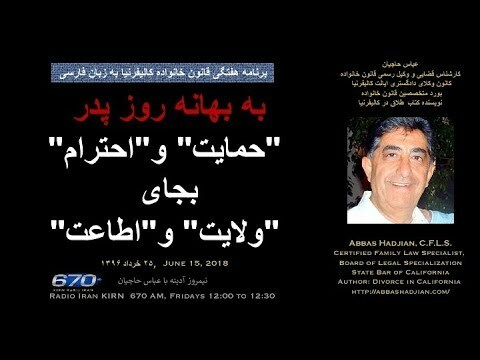 Mr. Hadjian is also a reputable expert in Iranian Civil and Family Law and Procedure, and provides legal assistance on the Web and on T.V. programs broadcasted world wide. 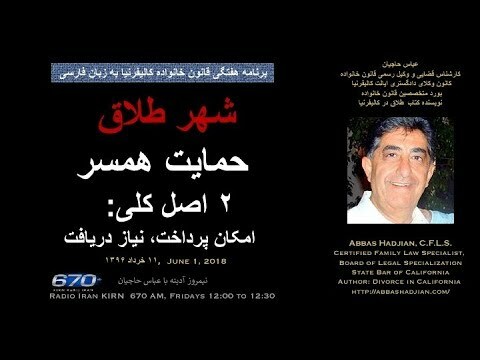 Mr. Hadjian is author of Divorce in California, a self‑help divorce guidance published in 2000. For email inquiries, please use the Contact Form. “As to why those funds had been channeled through Husband’s account,…, Wife testified, 2 “cultural” considerations had motivated her father to send the money to Husband….”.